The Chipper Clipper: Buy 1 Get 1 Free Laughing Cow Coupon!! Sign up for The Laughing Cow email newsletter and you can print a BOGO Laughing Cow Cheese or Mini Babybel Cheese coupon! (Coupon is void in California and Arkansas.) 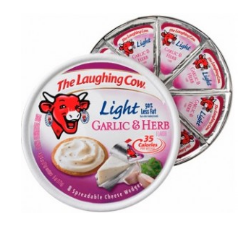 Please leave a comment if you find a great price on Laughing Cow cheese to pair with the coupon!